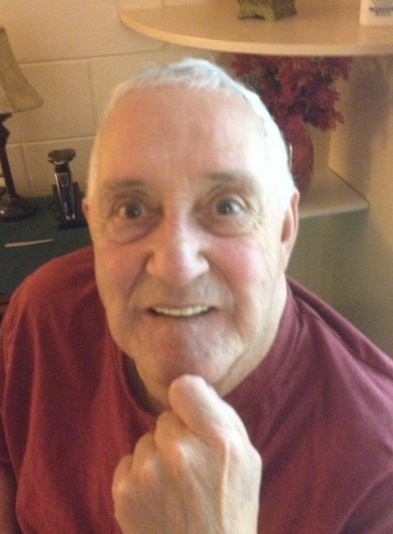 Obituary for Eugene Degagne | Hillside Funeral Services Ltd.
Dégagné, Eugene - Passed away peacefully at Cassellholme Home for the Aged on Saturday April 13th, 2019. Loving husband of Jean Elizabeth a.k.a Beth (nee Priestman). Beloved father of Gregory Dégagné (Colleen), Joy Belew (Mike), Rob Hardwick (Sue), Bill Hardwick (Sonia), Jason Hardwick (Julie) and Cheryl Hardwick. He will be lovingly remembered by his 10 grandchildren, brothers Louis (Lucille), Ray (Laurette), Paddy (Lorraine) and sisters Jeannine Lafrenière (Fern), Aline Chatelain (Rolly-predeceased) and Evelyn Point (Roger). He will be missed by several nieces and nephews. Eugene was known and loved by so many people near and far. Family receiving friends at HILLSIDE FUNERAL SERVICES, 362 Airport Rd on Wednesday April 17th 2019 from 2 until 4 pm and 6 until 8pm. Funeral service will be held on Thursday April 18th 2019 at 11am at the funeral home. In lieu of flowers, donations to Cassellholme will be gratefully acknowledged by the family.